Ice climbing is one of the essential tools for alpine climbing. Moving efficiently across mixed and ice terrain is a must to be efficient in the mountains. Ice climbing as a sport itself has exploded over the past ten years. There are now “ice fests” all across the country, and many folks attend these, take clinics, and try out all the new exciting gear. 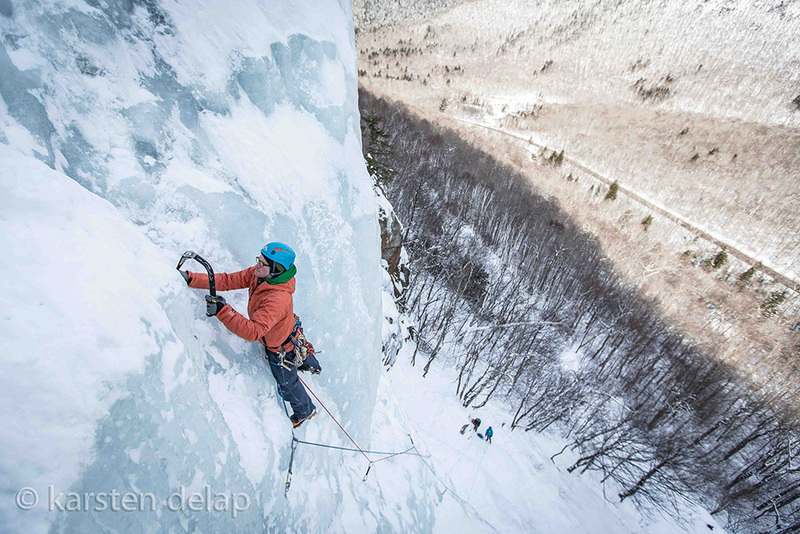 This year in New Hampshire, I helped run the first ever Advanced Ice course that Fox Mountain Guides has offered, with the main focus on leading ice. In this course we talk about the seriousness of the leads and how ice climbing isn’t like rock climbing in that falling is not an accepted part of leading. We look at videos like this one (Dracula Fall) and this one (Kennedy Gully). We talk about what went wrong and how to avoid these problems. By the time we put our guests on the sharp end, they tend to style WI3+/4-. The reason: they understand they can’t fall. We teach them to be very methodical and to move with the confidence of an unroped ascent. They understand what the risks are and accept them before they leave the ground. I can teach someone who is reasonably athletic to climb WI4 by the end of a day. As they follow me up a climb, they can use my pick holes and can trust less-than-marginal tool placements and have scrappy feet without the thought of falling and twisting an ankle…or worse. Vince Anderson was speaking at the Adirondack Mountain Fest this year and pointed out that probably the top 10% of the crowd of climbers could get up the hardest ice lines in the world. He then went on to say that it would be unlikely that even 1% of us could lead them. I would have to agree with that. I will try anything on tope rope; put me on lead and my self-preservation starts to kick in. This is a no fall activity. Ice climbing is much more serious on the sharp end; it is in fact “a leader’s game.” The mental fortitude it takes to lead a more serious ice line is out of the realm of most ice climbers. This is because we are pushing the line between soloing and having a rope on. If every rock climber had to start soloing instead of placing protection on lead, we would see a huge number of people who would only top rope most climbs (me included). 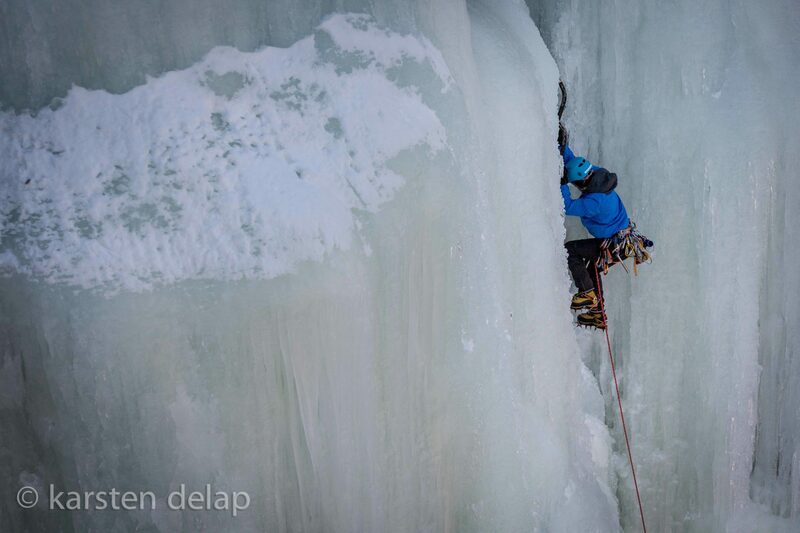 Due to this, leading hard ice pitches puts you in a state of focus you can’t get when the rope is above you. It is a game I like to play!